Rhodes of eBay Motors: About 15,000 stores use the site to sell slow-moving spare parts. A dealership that sells a part on eBay Motors pays the site according to this sliding scale. Example: For a part that sells for $1,001, eBay would charge 12% of $50, plus 9% of $950, plus 2% of $1, for a total of $91.52. Sitting on slow-moving inventories of spare parts is an unenviable position for an auto dealer. The online auction eBay says it can help. EBay, once known as a place to market Grandma's tchotchkes, has sold more than 135 million auto parts through its subsidiary, eBay Motors. The site listed more than 8 million parts and accessories throughout the first quarter of 2009, up from 6 million in the fourth quarter of 2008, eBay says. The company's worldwide annualized gross merchandise volume for the parts and accessories category, grew to $4.6 billion in the first quarter of 2009, up from $4.2 billion in the fourth quarter of 2008. This year, the company says, parts transactions are up 15 percent from last year. About 15,000 new- and used-vehicle dealerships use eBay Motors, says Famous Rhodes, the site's director of parts and accessories. A dealership that sells a part to a customer online gets detailed contact information, Rhodes says. The dealership can use that contact to offer to install the part at a discount. Or the dealership can sell the part on eBay at a discount to a local customer as a way of luring the buyer to the store for full-price labor, Rhodes says. 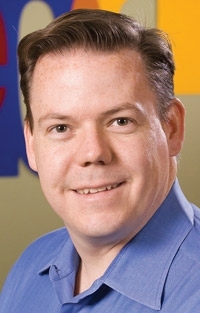 Ray Fenster, e-commerce director of Lindsay Automotive Group in Alexandria, Va., just brought the company's eight dealerships onto eBay Motors' parts sales site. "We're still going to do our own online effort," Fenster told Automotive News. "But eBay gets us 13 million eyeballs, and that doesn't hurt either. The cost for using eBay is nothing, really. It's a very user-friendly platform. And eBay has a trust factor with customers." Fenster says the dealership group is hiring a full-time employee who will handle only eBay parts listings and transactions. The parts department of each of the company's dealerships decides what to sell on eBay — just a few slow-moving parts or the entire inventory, Fenster says. He anticipates another 150 parts sales a month because of the eBay exposure. "We are building up a customer base and expanding our reach," Fenster says. "Once you get your system moving, you can move some items." Rhodes of eBay Motors says the site backs up overworked dealership parts departments. "The consumer buys the part through us, transacts it with us, we confirm it, and the dealer ships it," Rhodes says. "You need an automated site like eBay so you can get scale and work it for your business." Dealers get training from eBay Motors to obtain the best results for parts sales. Although eBay is known for its auction-style bidding, it also offers fixed-price sales for dealerships, says Clayton Stanfield, eBay Motors' senior manager of dealer training. "If the parts guy is new, we do fixed-price sales," Stanfield says. "But let's say a transmission has a variable price — then they get a bit more brave and try the auction." Rhodes grew up in a family that owned a Jeep dealership. He remembers frequent calls for slave cylinders for the CJ-7. "That kind of product, you could put in an eBay auction because of the high demand," Rhodes says. "But a back quarter-panel for a Dodge Charger would probably be a 'buy now' price." As new-vehicle sales continue to tank, the service and parts department can account for 80 percent of dealership profits, Rhodes says. But at the same time, he says, as much as 15 percent of dealership parts inventories may have languished unsold for more than a year. "A dealer can be sitting on $5,000 to $30,000 of idle parts," Rhodes says. "Having a chance to liquidate that on a platform like eBay gives dealers a chance to invest back in the dealership, especially for parts that have gone beyond the date they can send them back to the manufacturer."